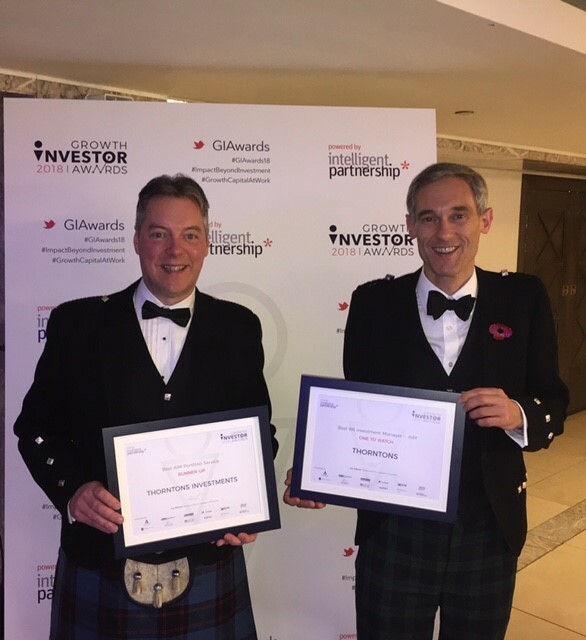 Thorntons Investments were celebrating a double success at the Growth Investors 2018 Awards at the Royal Lancaster in London last night. Organised by Intelligent Partnership, these prestigious national awards celebrate the role of the UK SME investment community in job and wealth creation, and honour all those involved in putting investment to work in high potential businesses. 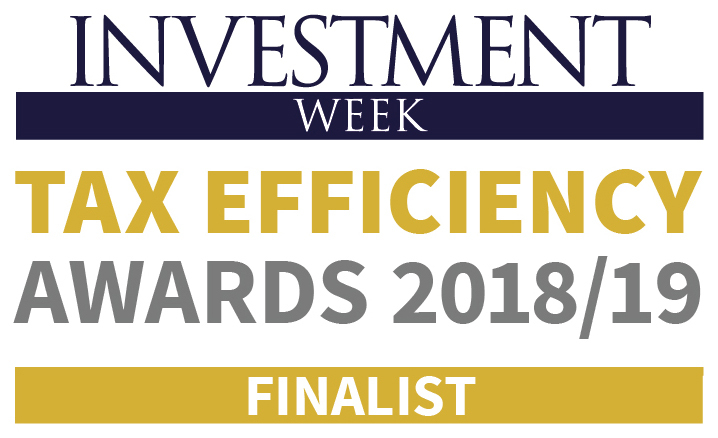 The award for ‘Best AIM Portfolio Service’ recognises investment managers who champion AIM with financial advisers and investors, and who demonstrate both outstanding performance and real commitment to the market. The ‘Best BR Investment Manager – AIM’ award recognises investment managers who can demonstrate innovation in product development and impact on SME growth. Entrants were judged on criteria which included their portfolio performance and increase in investment volume, company selection and on the championing of AIM to investors and the financial adviser community. Matt Strachan, Chief Investment Officer commented: “On behalf of the whole team at Thorntons Investments, I am delighted to receive such recognition at what is our first participation in major national awards. Our aim is to deliver good performance, good value and a high level of service. These achievements are a reward for the hard work and skill that everyone has put into our AIM IHT Portfolio Service and something to be extremely proud of”.